Mobile World Congress wrapped up a few days ago in Barcelona, and hidden in the back of then Fujitsu booth was a new concept design that we might be seeing on their tablets in a few years. Engineers at Fujitsu have been working for the past few years on a new way to use a tablet's camera. 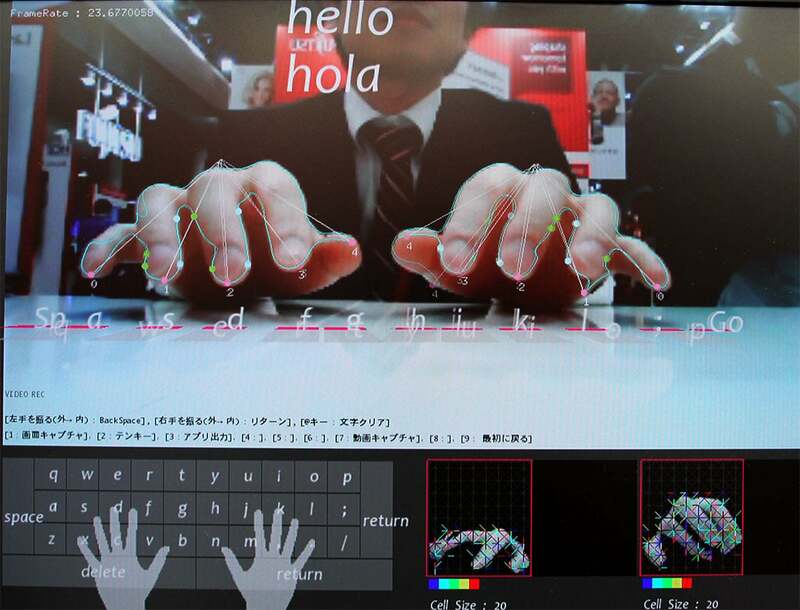 Rather than lay a tablet down and type on the screen, Fujitsu's engineers want to use the camera to track your fingers as they type on, well, the table in front of the camera. 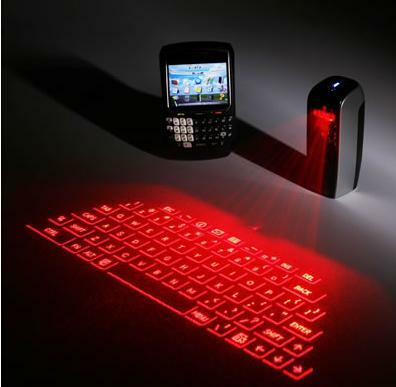 It's called a virtual keyboard, and it's an old idea that keeps being batted around but has yet to go mainstream. If you're wondering why I am less than enthused, it's because I've heard of virtual keyboards before - several years ago, in fact. It's not exactly new, and after doing a little digging I learned that "not exactly new" is an understatement. I'm sure you might recall one or 2 commercial products based on the idea, but there's more to it than that. In fact, this idea is far older than I realized. The earliest sign that someone was working on the idea is a patent that IBM filed - in 1992. I can't find any evidence that IBM pursued a commercial application, but that does not surprise me. While the hardware needed to implement the idea did exist in 1992, it was also expensive enough to make a commercial product impractical. Fortunately that stopped being true a number of years ago. Celluon, a South Korean firm, has released several different virtual keyboards (you can even find them on Amazon). All of Celluon's virtual keyboard products are expensive ($100 or more), and that brings me to the one detail about the Fujitsu concept that interests me. 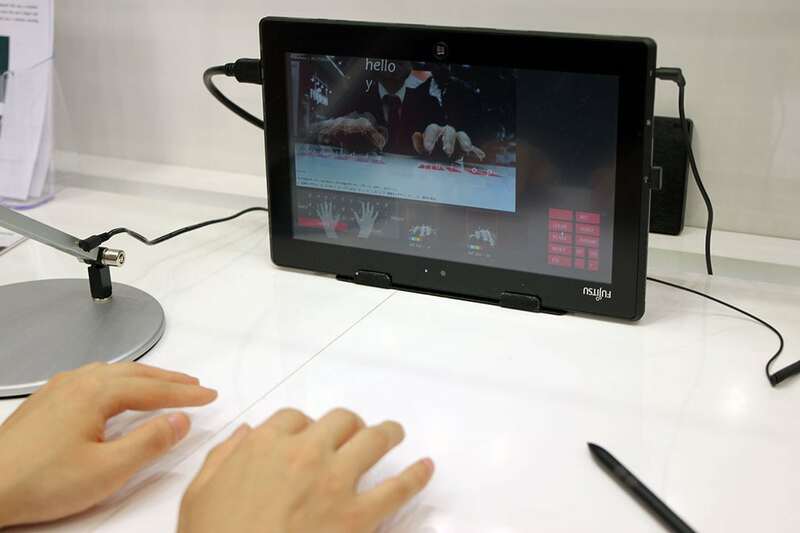 Fujitsu's prototype was running on a Windows 8 tablet. That's a lot less hardware than what IBM needed in 1992, and needless to say it's also an improvement on the Celluon virtual keyboard. Eliminating the need for an accessory is a step in the right direction and could be what allows this technology to finally achieve market success. There's a good chance Fujitsu will get this concept worked out to the point that it will show up on their tablets next year (or the year after that). But as cool as it is, I'm not sure what problem it is supposed to solve. At this point I'm not sure there's anyone who isn't used to typing on the screen of a tablet. It's not exactly ideal to be craning your head to read on the same surface that you are typing on but we are used to it by now. And that issue really only applies to large screen tablets; for tablets 7" or smaller the 2-handed, 2-thumbed approach is IMO a better method for text entry than Fujitsu's trick of banging away on the table. If nothing else, the noise of the fingers tapping on the table will be a distraction.